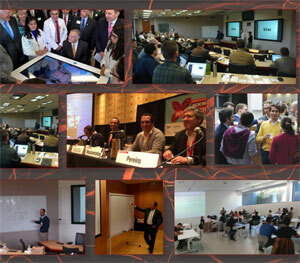 The February newsletter [PDF] of the UT Austin|Portugal program is out with news of UTEN’s activities as well as our academic programs in Advanced Computing, Digital Media and Mathematics. Be sure to subscribe to keep up with the program’s activities throughout the year. The Portuguese Science and Technology Foundation (FCT) has opened its competition for Portuguese technology transfer officers to receive extended on-the-job training with international partners in the University Technology Enterprise Network. See our TTO Internship page or the official FCT edital for more information. Application deadline is February 5, 2009.